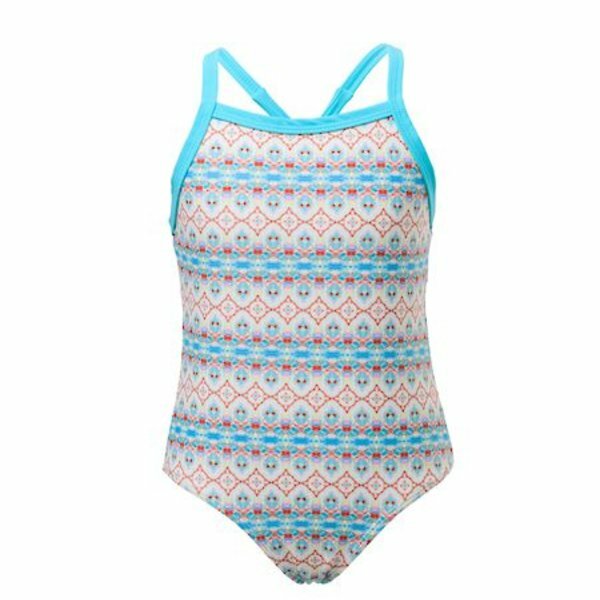 A favorite with girls of all ages, this fully-lined, one-piece swim suit in stunning colors inspired by the exotic textiles of Marrakesh will look perfect by the pool or on the beach. Turquoise blue contrast binding works into on trend cross tie straps. Match with a UPF50+ rash top for full sun protection.